The first year of a baby’s life is filled with so many firsts! One of the biggest first is probably their first birthday and their first cake. It is such a bittersweet moment. It is incredible to see how much your baby has grown and changed in one year. It also is so sad to see that your baby is becoming more and more independent everyday. 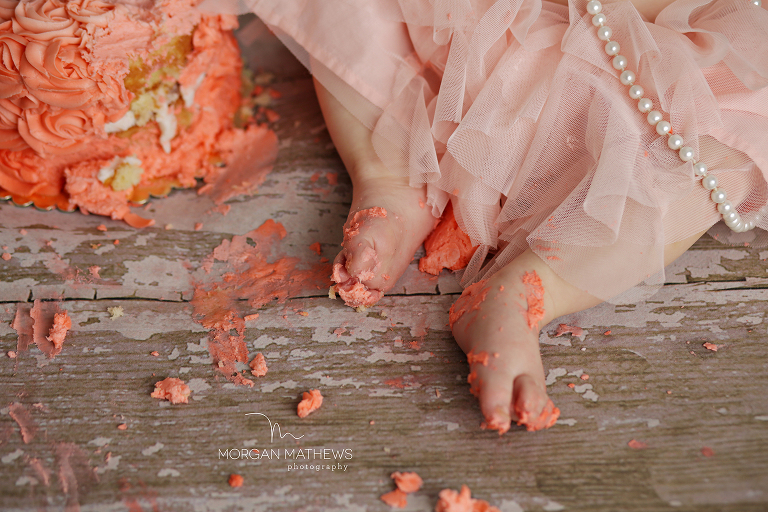 I always encourage moms to do a cake smash session. It makes their first birthday party so much more fun. 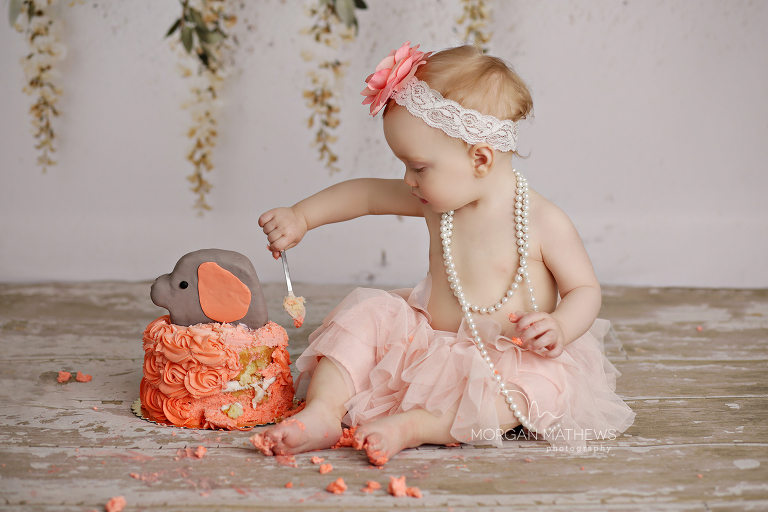 You can enjoy the day with out being stressed that you will miss the perfect picture of your sweet baby digging into their cake. You don’t have to navigate around party guests, or worry that they won’t eat their cake because they are so distracted by all the new people. Cake smash session are so fun! We do one set up with out the cake. I feel like it gets your baby comfortable with me and in front of the camera. Once they start to loose interest we bring out their cake! I have started working with a baker that makes cakes for my sessions. They are the cutest cakes! 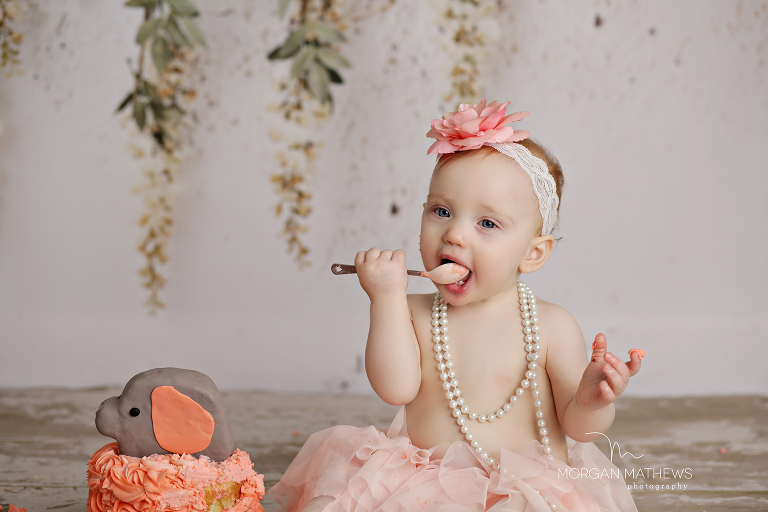 I am so excited to bring you this amazing service and addition to your cake smash sessions. 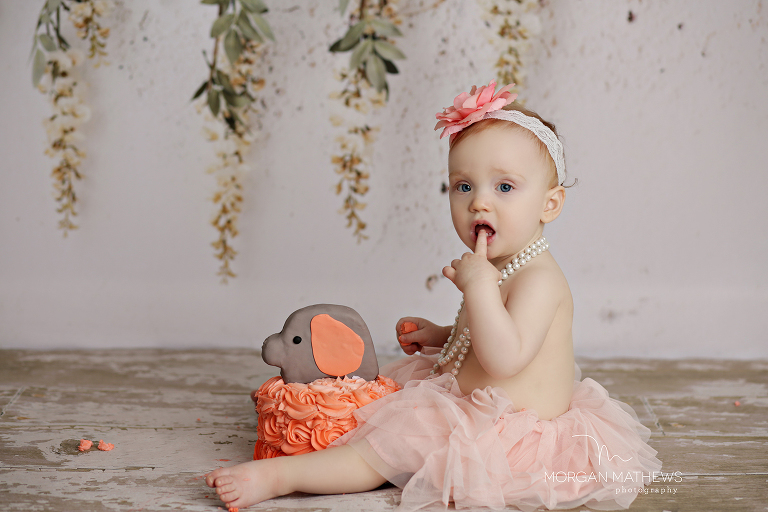 When booking your cake smash session we can go over what you are wanting for a theme or color scheme. Some parents choose to bring props, while others have me set everything up for them. Some families prefer a more simple approach. Little Beatrice was such a fun little girl! She did so great for her photos! She wasn’t a huge fan of her cake. She didn’t like the feeling of it on her hands. Her mom brought out a spoon and she was so happy. She dug right in and we were able to get the most adorable pictures of her!